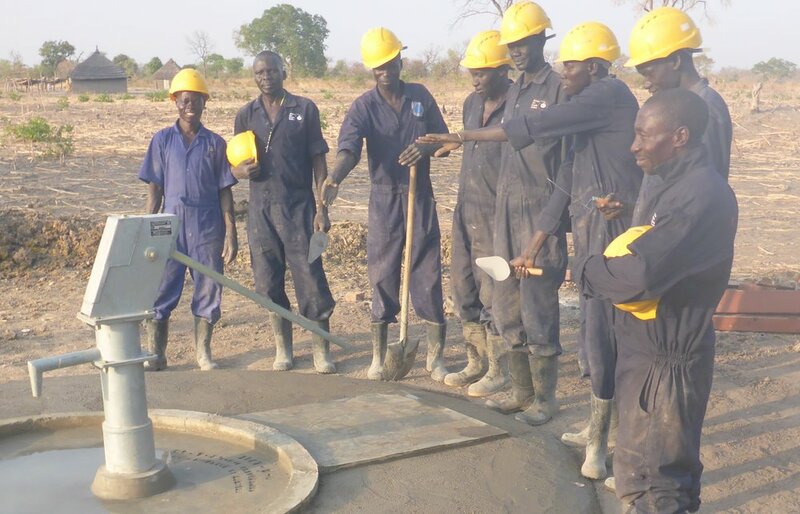 The WFSS Drilling Team, Rehab Team, and their two accompanying Hygiene Education Teams, are continuing their work for the 2017 season, bringing access to clean water in South Sudan. All WFSS teams are safe and able to do their work, and report that people are going about their daily business in the areas around our Operations Center in Wau. As of April 24, WFSS has now drilled 18 new wells, for a new total of 300 wells drilled since 2005! Our pilot Rehab Team has repaired 26 of our oldest wells and replaced cracked and broken concrete platforms with a new and improved composition and design, leading to even greater sustainability. Our Hygiene Education program has also continued, with two dedicated team now traveling with our drilling and rehab teams. 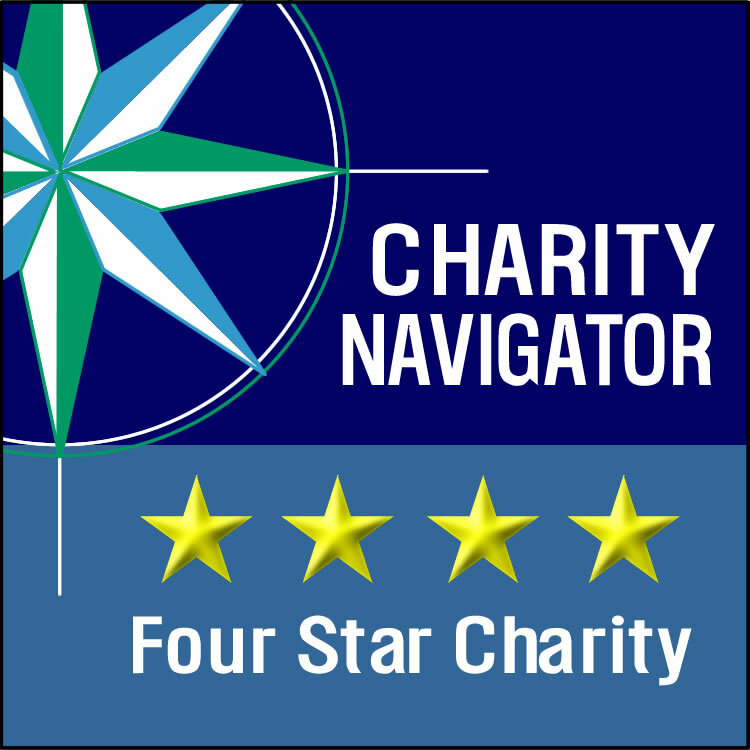 We are in frequent contact with our South Sudan team members, who in turn stay apprised of all developments in South Sudan through contact with government and security officials, and NGO and other non-profit organizations. Water for South Sudan continues to advocate for peace and development through our work. Our United Peace and Development Project (UPDP) with Aqua-Africa continues, with plans for two additional wells to be drilled this season, to add to the 12 wells drilled previously. WFSS drilling team with first well of 2017. The WFSS teams are continuing their work in South Sudan, bringing access to clean water and hygiene education to those in need. As of February 28, the WFSS Drilling Team had completed five new wells, and was finishing the sixth. This year the drilling team is focusing on drilling wells in school areas. The WFSS Rehab Team, a new pilot program this year, has completed the rehabilitation of five of our oldest wells. Our 2015 well evaluation project showed us that some of the oldest wells needed to have the cement platforms surrounding the wells repaired. The new rehab team has set out to repair these wells to our newer design specifications. WFSS is now using a stronger cement mixture for all well platforms, and has also lengthened the channel leading from the pumps down to the drinking pools for animals. This year we have two hygiene education teams in the field, traveling with both drilling and rehab teams, where they work with villagers to identify hygiene practices in need of improvement. Although the news out of South Sudan continues to show the struggles of the new nation, with famine declared in two counties in Unity State, WFSS has been able to continue our operations. We are in regular contact with our teams who report that they are safe, and able to travel and continue regular operations. Thank you to all of our supporters around the world who enable our work. We will continue to update you on the progress of this season. Please check back here for regular updates. You can also follow us on Facebook, Twitter and Instagram. Sign up for the WFSS email news here. The Water for South Sudan team is busy preparing for the upcoming season, our 13th!! Our Leadership Council, led by Country Director Ater Akol Thiep ("Lion"), and Ajang Agok (AJ), have been working with our US based Director of Operations to secure all the supplies needed for drilling, rehabilitation and hygiene education. We anticipate starting the season in late December or early January. The drilling team, led this year by AJ, plans to drill up to 40 new wells. Plans include up to five additional wells for our United Peace and Development Project (UPDP) with Aqua-Africa. This joint project has already drilled 12 new wells in different tribal areas. We are also working with Aqua-Africa to develop an additional component of peace and reconciliation talks for the villages in which we drill. Some of these wells could be in repatriation areas, where people of different tribal backgrounds are returning home, after having fled for safety. The installation of a well can serve as a starting point for conversations to help air grievances and resolve disputes, leading to greater peace and stability. Lion will lead our well rehabilitation team as they work on repairing and strengthening the cement platforms of up to 20 new wells, in response to the findings of our 2015 well evaluation survey. The improved well design is now being implemented on all new wells too. Mathew Akuar, WFSS Hygiene Team Manager, is preparing for two hygiene teams this year-- one to travel with the drilling team, and one to travel with the rehab team. Hygiene education is a vital piece of our work, and ensures that clean water stays clean, and that the impact of fresh water goes as far as possible. In addition, WFSS is in the early stages of researching a pilot sanitation project, to provide latrines in a school. Sanitation is a vital piece of WASH (Water, Sanitation, Hygiene) work, and helps improve lives in so many ways. 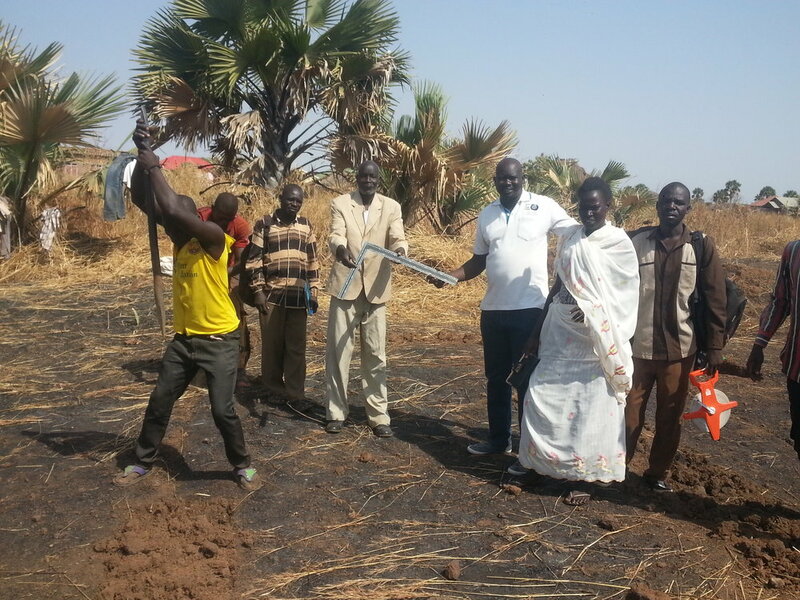 WFSS thanks all of our supporters for enabling our work as we water the seeds of change in South Sudan. Please check back here for updates. You can also follow us on Facebook, Twitter and Instagram, and sign up for email updates.